After purchasing a license for this online guide (course), you can access the guide at My Account. 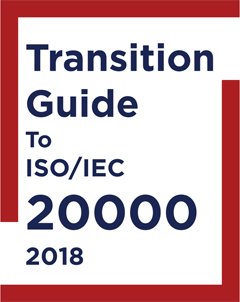 The online ISO/IEC 20000-1:2018 Transition Guide has been developed to provide guidance for ISO/IEC 20000-1:2011 certified, or compliant, organizations to smoothly migrate to the new edition of the standard. The online guide consists of 9 chapters, or lessons, and over 60 topics. What is New by the Numbers? Your license to the guide is valid for 4 months.